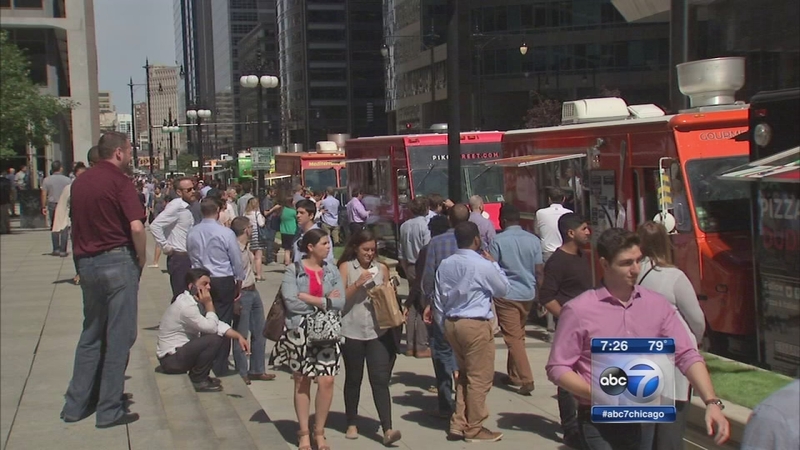 CHICAGO -- A state appeals court panel has unanimously rejected a lawsuit that challenges the city of Chicago's five-year-old ordinance regulating food trucks. In a unanimous ruling issued Monday, the three justices of the 1st District Appellate Court of Illinois found no reason to strike down the ordinance Mayor Rahm Emanuel proposed and aldermen approved in 2012. Read the court's opinion HERE. The rules, which are deeply unpopular with Chicago's food truck owners, restrict the "mobile food vendors" from operating within 200 feet of restaurants and required owners to have GPS devices on their trucks. The lawsuit, filed by food truck operators, claimed the ordinance unfairly hurt their profits. "Monday's ruling is a loss not just for food trucks and their fans, but all Illinoisans. The appellate court's holding that local governments may enrich a special interest group by making it illegal to compete with them runs counter to decades of holdings by the Illinois Supreme Court. We intend to appeal this ruling and ask the Supreme Court to hold that whether a business succeeds should turn on how good its food is, not on who it knows at City Hall."